There's a reason physicists are so successful with what they do, and that is they study the hydrogen atom and the helium ion and then they stop. The quantum idea Bohr used in his model of the hydrogen atom was born in 1900. In that year Max Planck (1858-1947), the leading physicist at the University of Berlin, described the universal constant h, called Planck's constant. This constant establishes the scale of quantum phenomena. The extreme smallness of h explains why quantum effects are masked except at atom-size scales. Hot objects glow; that is, they radiate heat at long wavelengths and visible light at shorter wavelengths. In 1900, no physicist could account for the way energy radiated from a hot body was distributed across various wavelengths. Planck provided the explanation and, in the process, he launched the quantum revolution. With the quantum idea, he developed a physical theory that accounted precisely for the experimentally observed distribution of energy across different wavelengths. Planck was aware of the importance of what he had done. One of Planck's sons reported that during a walk in their neighborhood of Grunewald, a suburb of Berlin, his father told him that he had made a major discovery comparable, perhaps, to the discoveries of Newton.1 At the same time, however, he was not comfortable with the break his work represented from past physics and tried, unsuccessfully, to position his work in the older tradition he was at home with. By contrast, Bohr, Planck's junior by thirty-four years, saw the need for the quantum idea and incorporated it in his model of the hydrogen atom. A second major break with the past, the special theory of relativity, was the brainchild of Albert Einstein, a twenty-six-year-old patent clerk, in Bern, Switzerland in 1905. No twentieth-century scientist has been regarded with such awe and reverence, by non-scientists and scientists alike, as Albert Einstein. After he generalized the relativity theory in 1915 and after one of its predictions, the bending of light by a massive object, was confirmed by Arthur Eddington's eclipse expedition, Einstein became a world celebrity. The quantum idea and the implications of relativity theory first met through the work of Arnold Sommerfeld in 1915. Sommerfeld (1868-1951), a professor of physics at the University of Munich, was well known for his contributions to physical research. He was also a renowned teacher. 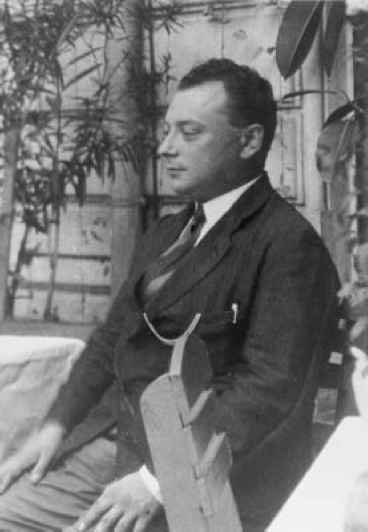 Many famous physicists of the twentieth century, including Wolfgang Pauli, Werner Heisenberg, and Hans Bethe studied under Sommerfeld and scores of physics students used his numerous textbooks. His book Atomic Structure and Spectral Lines (1919) was a primary reference for physicists interested in the atom. Although the Bohr model of the hydrogen atom was a tremendous triumph, Bohr's ideas were not immediately accepted; in fact, prominent physicists expressed considerable skepticism. Bohr's three papers, the Trilogy, were published in the spring and summer of 1913. In September of that year, Sommerfeld wrote a gracious letter to Bohr indicating his interest in the new model of the hydrogen atom. One difficulty with Bohr's model was its limitation to hydrogen. The model failed for the next simplest atom, helium. Furthermore, the ideas even failed to provide a complete explanation of hydrogen. At first blush, Bohr's theory appeared to account for the spectral lines of the Balmer series; in addition, the theory accurately predicted other spectral series of the hydrogen atom, seen in the infrared and ultraviolet. However, when the 6,562 A Balmer line, Ha, was observed closely, it had fine structure; that is, it was not a single line, but a doublet—two lines close together. Bohr's 1913 theory could not account for this added complexity. This was the challenge that captivated Sommerfeld and he set out to see if he could provide an explanation for this complexity. The nuclear model of the atom, as envisioned by Rutherford and Bohr, had much in common with the solar system. In each there is a massive core that exerts a controlling influence over less massive satellites orbiting around the central core. In both the solar system and the atom, the force between the central core and the orbiting satellites decreases as the square of their separation. In the case of the solar system, it was Johannes Kepler, early in the seventeenth century, who first allowed hard data—data he knew to be accurate—to sit in judgment on his speculations about the orbits of the Sun's planets. When Kepler began the major work for which he became known, the structure of the solar system was a hot topic of intellectual and emotional debate. In accord with Copernicus, Kepler believed that the planets revolved around the Sun—an unpopular opinion in 1600. The prevailing and orthodox view was that the motionless Earth occupied the privileged central position in the universe with the Sun and planets orbiting around it. Early in 1600, Kepler joined the astronomer Tycho Brahe at his observatory in Prague. Soon thereafter Kepler became consumed with the problem of establishing an orbit for the planet Mars. For this effort, Kepler had excellent data: accurate observations of Mars's position at various times over a period of years. These observations, made by Tycho Brahe, were the most accurate posi tional data for Mars that were available. 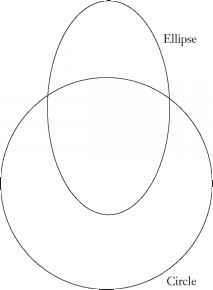 The same orthodoxy that put the planets and the Sun in motion around the central Earth also held that the only appropriate orbit for celestial bodies was a circle. Kepler was a captive of this orthodoxy so, along with Copernicus, he put the Earth and the other planets in perfect circular orbits about the Sun. For most of nine years, Kepler tried unsuccessfully to fit Brahe's data for Mars into a circular orbit. Failure followed failure. Finally, in a fit of desperation, Kepler abandoned the circular constraint, and soon he was able to establish an orbit for the planet Mars consistent with Brahe's observations. 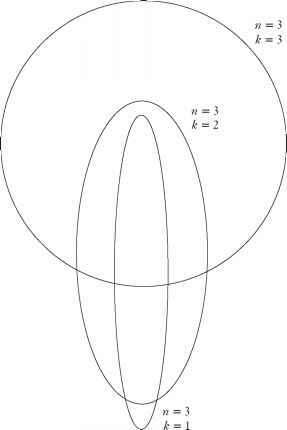 The resulting orbit was an ellipse. This result later became generalized into Kepler's first law of planetary motion: Planets move in elliptical orbits with the Sun at one focus of the ellipse. Like Kepler, Bohr assumed circular orbits for the electron's motion around the nucleus; unlike Kepler, however, Bohr was not guided by orthodoxy, but by reasons of simplicity. But what about those spectral lines which, upon close scrutiny, are not one line, but two ... or more? This is where Sommerfeld enters the story. Sommerfeld generalized the Bohr model by considering the more general orbit—the ellipse. Actually, the ellipse is the more likely orbit for an electron moving under the influence of the force exerted on it by the nucleus. The same is true for the orbital motion of the planets. A planet can have a circular orbit, but the condition for circularity is much more specialized and hence more unlikely. So Sommerfeld relaxed the specific condition required for a circular orbit and considered an electron moving along an elliptical path. Figure 5.1 Sommerfeld relaxed the specific condition required for a circular orbit in the Bohr model and also considered an electron moving along an elliptical path. minor axis. Bohr's quantum number specified the former and a new quantum number, k, took care of the latter. Sommerfeld set out to generalize Bohr's quantum condition for electron orbits in terms of the quantum numbers n and k.
pounds; individuals' weights are found at all weight values between 150 and 160 pounds. Weight varies continuously. But in the domain of the atom, quantum principles govern and physical properties like the energy states of an atom are quantized. Atomic energy-state values vary discontinuously with leaps from E1 to E2, from E2 to E3, and so on, and each state is labeled by a quantum number. and so on for higher values of n.
In terms of these quantum numbers, what did the new orbits for the hydrogen atom look like? Figure 5.2 The n = 3 electron orbits in the hydrogen atom as determined by the quantum numbers n and k.
and so on for higher quantum number n (see Figure 5.2). These were Sommerfeld's orbits for the hydrogen atom. When the atom is in the n = 2 state, the electron can move in either the circular orbit (k = 2) or the elliptical orbit (k = 1); in the n = 3 state, it can move in three different orbits. And now, at last, the theory of relativity comes on the scene. According to relativity theory, the mass of an object increases with its speed. Granted, this increase does not become appreciable until the speed gets very large. But as the electron sweeps in toward the nucleus on its elliptical path, the speed increases significantly and with that speed increase there is an attending increase in the mass of the electron. The relativistic effect of changing mass cannot be ignored. The mass increase that occurs when the electron moves through its orbital perigee (the point closest to the nucleus) gives rise to a slight energy change associated with the elliptical orbit and two energy states result. In Bohr's model, the energy state labeled by n = 2 had one energy; in Sommerfeld's modified model, the energy state n = 2 has two orbits, k = 2 and k = 1, and due to the relativistic mass increase in the k = 1 elliptical orbit, its energy is slightly different from the circular k = 2 orbit. This slight energy difference gives rise to a set of two lines for each Balmer transition and thereby provides an explanation for the doublet appearance of the Ha line, and other lines as well (see Figure 5.3). Figure 5.3 The hydrogen energy states according to Bohr, then Sommerfeld and Dirac. Not drawn to scale. the fine structure of the hydrogen spectrum. Nonetheless, Som-merfeld's successful extension of the Bohr model helped to strengthen the efficacy of Bohr's ideas, hence, after 1916, the quantum conditions used in atomic physics were called the BohrSommerfeld rules. What did Arnold sommerfeld contribute to the atomic model? What led Sommerfeld to modify Bohr's theory of hydrogenic system? What is the differences between the atom model of bohr and sommer feld? What modification to bohr's model did sommerfeld make in 1915?